When I eventually got exhausted from work, I went shopping to the enormous shopping malls or I went to see a movie. It was the only place where I could forget about the reality in which I lived. I sprawled in the huge velvet chair in the cool, air-conditioned room and munched sweets. It had stopped bothering me that people were walking in and out during the film; some arrived in the middle of the film and, after it ended, they watched the first half of it. Others were only a bit late but did not stay till the end. Perhaps I was the only one who always asked the attendant when the next show was to begin. The movie program was not really varied. Suiting the taste of the crowd, Philippine or American movies were usually on. I should say, they basically did not have anything from Europe. It happened only once that I saw a small poster of Life is Beautiful, an Italian film on the Holocaust by Roberto Benigni. No billboard ever advertised it. The day finally came and I ceremoniously walked into the movie. I felt a bit like going home, I would absorb the little towns, the building, the mountains and pastures of Europe, and the Italian chattering would sound as a real melody for my ears. Suddenly, it seemed very bizarre and perverse how much I wanted to see this film which introduced one of the darkest eras of our continent to the people living far away and often being branded as uncivilized: it introduced the European conviction of superiority and racial discrimination, an ideology which killed millions of people. I wonder whether I impersonated this Europe for them. The lights went out. To my great surprise, aside from me, there was only one person sitting in the room a few rows further down. He must have been a Philippino, because when their national anthem suddenly started, he jumped up and listened to the loud march standing at attention. Embarrassed, I remained seated, as I did not know what to do. I found the situation ridiculous to salute a nation before watching a movie. I ran into Roland on my way out of the movie in the evening. It was already getting dark and when I ran across the street among the cars, someone called my name from a tricycle cab. The tricycle stopped, even though it had a passenger. The driver was smiling at me with a broad smile. I was happy to see him again. He was released from prison more than half a year ago, where he was repeatedly sent back for glue sniffing. Earlier he would hang out in the streets in bad company. Sometimes he and his fellows would visit the home but they never stayed for long with us. This time he literally fascinated me! He was working as a tricycle cab driver, his hair was neat, he had a clean T-shirt on and he was smiling – there were no sickly eyes made dim by glue. Unfortunately we could not talk for long because the old lady who was sitting in the sidecar, got angry and started shouting with the boy. I suppose, it was our little baker’s shop that I had always been very proud of. We baked beautiful golden brown loaves, and when I spent the night in the shelter, in the morning I was the first customer and bought bread baked by the boys at daybreak. They respected this habit of mine. They boiled water so that I could have my breakfast according to the European fashion, with café-au-lait. I must admit they treated me very well. Nevertheless, the real value of the bakery for me was the fact that the manager and the baker in one person used to be a street kid who grew up in the home. Eddie managed the baking and delivering with his brother, Shushu. They also sold the goods and the two of them did the accounting, too. We had a hard time with Eddie. He was already around twenty-three and he spent more and more time with the hooligans of the neighborhood. They would often drink next door and sometimes ‘our’ younger kids sat down to the ‘grown’ ones. I went over to them on several occasions to drive at least our children home. However, the hooligans did not appreciate my viewpoint. To compensate this, sometimes I socialized with them to keep up ‘good terms’. problems accumulating around Eddie only to a limited extent. Our relationship was made even more difficult by the fact that I could not really speak with him, as he did not speak English and besides he was a very quiet boy, I hardly heard his voice. He eventually got into quite a lot of trouble because of drinking and drugs. One morning, when I went to work, I did not find our little van. I drove this car because no one had a driver’s license for it then. Tongue-tied, Shushu walked up to me and put the key into my hand. He said that the car was parked at the Pier slum and I should go and pick it up. I could drag out of him only that it had a flat tire so it was left on the roadside. Tatay Menes and I got on a jeepney to go and repair it and take it home. On the way Tatay looked at me. I looked at him uncomprehending. I was staring blankly before me. I smiled wearily as I thought over the string of events. Eddie stole the car drunk and hit a man, the police chased him and on the front of the car large letters announced “Balay sa Gugma”. And Eddie believed that if he had escaped, no one would discover the truth. Well, that was Eddie. children cleaned it in the afternoons, then they started kneading. The tasty white dough humps were on trays by the evening. 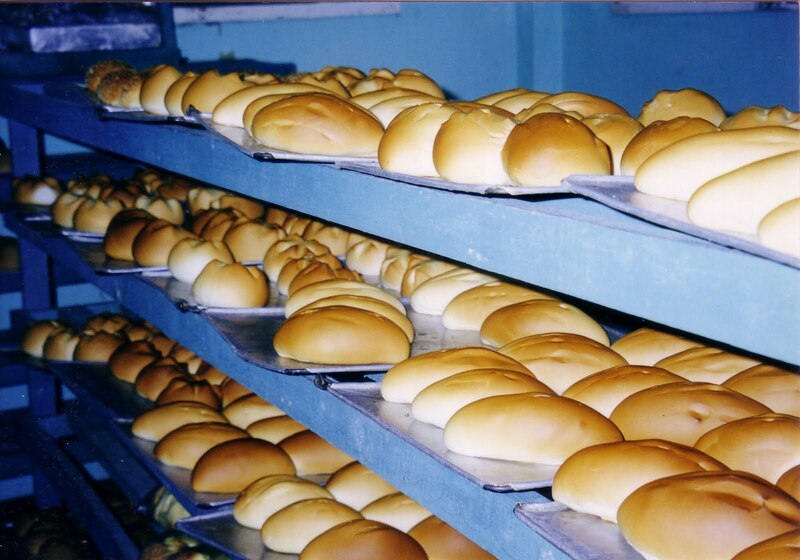 The scent of fresh bread was lingering around the house around midnight, and when I worked in the office until late at night, sometimes I walked out to refresh myself with some sweet, soft bread and the jokes of the baker’s boys. Finally, they loaded the motorellas (motorbikes with a closed cabin) at daybreak and started for the city to deliver our products to the little stores. The boys were working very hard for every single peso. Once, however, there was almost a tragedy. Shushu started to clean the mixer without unplugging it. For some reason, the machine started to work and it swallowed up Shushu’s three fingers and half of his palm. Shushu was just as quiet as his brother. He approached me always with the greatest humbleness when he wanted to say or ask something. It very much bothered me, as there must have been only a few years of difference between us. I was sitting at my desk when he knocked. He asked me to go outside as he needed some help. I realized then that he was grasping one of his hands with the other one, which was covered with blood and his nails were hanging. Shushu was ghastly pale, near to fainting. I jumped up and alarmed my colleagues. Our social worker, Jessie Ann soon bandaged his hand, while I pulled up with the truck. Shushu nestled by me. A couple of boys sat on the platform to accompany us to the hospital. jammed into a single lane and policemen were struggling to control the traffic in the intersections. I drove across the crowded market, repeatedly honking all the way. I turned on the white line of the broad street and, honking and flashing the headlights, I drove on the narrow route between the cars passing in the opposite direction, waving at them to pull aside. Then I arrived at a street section where the traffic was detoured. Further up, policemen were standing who kept the cars from driving on the road. I looked over and saw that Shushu was still very pale and the blood soaked the towel on his hand. Lead by a sudden decision, I turned onto the empty road section and I kept driving and honking. Suddenly heavy military vehicles turned up from the intersection and were heading towards us. Steadfastly, I kept waving at them, although I felt as if I were a speck of dust against the ‘odds’. However, as if by miracle, the convoy started to pull aside to give way for the crazy white woman, who, believing that even the gates of heaven would open for her, drove forward against the oncoming traffic. We passed the policemen, who were staring bewildered at me and the kids in the back. The part of town over the bridge was less crowded. I knew the small streets which, though in very bad condition, were less busy. We got to the hospital in half an hour, so Shushu’s fingers and palm were stitched very quickly. He lost one of his nails, but we had hopes that the other two fingers would be all right. Christopher became a permanent part of my life. Our peculiar relationship went through a lot and I experienced various emotions through it. With his girlish smile on his lovely face, he filled my days with warm respect and love. His aggressive behavior, the result of the destructive effect of glue sniffing and the brutal circumstances, showed me the dreadful feeling: mortal fear. I know that he would never have hurt me. Our social worker and his parents said: Chris was a decent boy, smiling and helpful. Still, when he was possessed by the devil, he was not Chris anymore, he was the Evil himself. And indeed, it is still beyond my reach how an angelic face and an innocent smile could turn within seconds into hostile snarl and trembling fury, which deforms the face so much, that it becomes unrecognizable. Chris was a sixteen-year-old, baby-faced boy, who lived with us, together with his siblings. He was the most favored son of his mother, who, due to her work, had no time to look after him. He got into bad company in the slum, used to steal and sniff glue. He ended up in the shelter through his stepbrothers. aggression, using anything that he had at hand, a knife, a rock or scissors. When he had a fit, his face got distorted, his entire body was shaking and he wanted to kill. The children and the supervisors already knew him. On such occasions, several of them held him down, tried to appease him, were praying the rosary or massaged his head with balm. When he calmed down, he had a headache and was so exhausted that he lied on the mat for hours. I often sneaked into the room when he was asleep. I sat on the ground and watched him. I wanted to understand his secret, understand the transformation. accept his explanation. Upset, I stood up and walked towards the kitchen building, when I heard screaming from behind me. The boys were running upstairs to the porch. I saw Chris with a knife in his hand as he was struggling with four bigger boys, who tired to hold him down. I froze. Chris could not control himself. He wanted to kill me. sweat was running down on my body. I wanted to calm down and hug him, but I could not have gone to him yet. Two months later Chris returned. The past never spoilt our exceptional relationship. He loved me and I loved him. Often there was no water for weeks, and sometimes there was no electricity either on the housing project, where I lived. 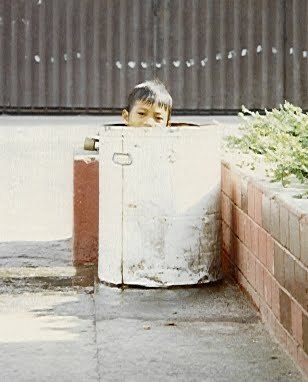 In the mornings, we would maneuver a tall plastic bucket home from the well on a tricycle cab. We had to use water sparingly to have enough for cooking and bathing during the day. The situation got more and more uncomfortable and cramped in my populous family, so I moved out to the shelter for the time of this crisis. The taps, however, ran dry in the home, too a few days later and we were able to provide no more but drinking water for the children. Of course, they did not bother about washing or bathing. They splashed about in the sea for days. But I suffered even from the humidity of the briny water, my skin was itching all day long. I used to buy water in small plastic containers in the city and I tried to ‘bathe’ in that day after day. The heap of my laundry was getting larger and larger. hoped that the distressed days would be over soon. One day I went to the university to a lecture. I hopped off the jeepney near Divisoria Square to make a shortcut on foot. I passed a deserted, bushy plot. Whenever I walked this way, I was always watching out for boys in the thicket. The kids liked this place very much, where they could hide easily. Many glue sniffing children found shelter here because the police did not discover them and did not drag them away to jail. I just peeked in above the bushes when I noticed some stirring in the tall grass. I had the strange feeling that some voices sounded familiar. I waded into the high grass (this I would not normally do alone) and I discovered eight dirty, little children, as they were grasping plastic bags full of glue. Six of them came to the shelter only a few weeks before, when they were caught by the police who, exceptionally, dropped them off at the home instead of the jail. The kids were very frightened when I showed up. They were hesitating whether they should run away or no… They were afraid of my anger. But my heart sank and I stayed silent. I asked them to come home with me. They refused and added that they did not want to live in the home anymore. I could not tell them more, because they did not understand my concern (it is very hard when you cannot express yourself! ), and they were already high on glue. With heavy heart, I decided to leave them there. When I said good-bye, I saw the sadness in their eyes. Butchoy started to cry. “Good-bye, Ate, I love you…” – he was sobbing. They others whispered good-bye, too and they waved timidly. I left them there. I looked back from the sidewalk and I saw the eight little heads in the grass as they were watching me, still waving. Days later the police brought them back to the shelter. They stayed for a few weeks. Carrying my heavy shopping bags, I had to cross the square in front of the bookstore, where my favorite street children gathered in the evening. I had a long and hard day and was in a hurry to get home so I wanted to pass them without being noticed. It was hopeless. The kids caught me in seconds, they were laughing and fooling around. I noticed that Antonio stood downheartedly at the corner of the building. He also lived in the home before. He had spent a long time in prison, although he was only fifteen, and when he was released, he did not even think about moving back to his family at Davao City. He had been living in the streets for years as a ‘mistress’ of homosexuals. He had serious tuberculosis when he came out of jail. He was worn by prison life. He slept on the ground for months since there were no beds in his cell. truant and he spent more and more time in the street. He started to date a fifteen-year-old prostitute, who got pregnant. Antonio left the home. septic and putrefied. The boy must have been in extreme pain. At this moment I regretted that I came this way! It was almost five o’clock, I spent my entire day at the hospital with a couple of boys, and I could not imagine that I would turn and go back there! So I told Antonio that I would come for him the following day and together we were to go to see a doctor. I said good-bye. And everything started all over again; waiting for the medical record card, waiting for the doctor, waiting for the bandage, waiting for the medicine… just what I did all day long! Still, I felt terrible when I recalled that I had left the boy standing on the corner in such a condition, even though I had known that he had needed immediate help. body language to make ourselves understood. We hummed, moaned and bleated with different intonations as if he heard us. But he was as deaf as a door-post. up a few meters, then fell behind again. Little by little, he got used to me. the candlelight. Later he went out to the porch and sat there for hours. few meters further, indicating that he wanted to get off and the car would stop again. By the time they had tugged down the goods, the crammed one-way traffic circle got blocked. I often went shopping with the kids for Carmen. It was an easy task since the boys grew up on the marketplace, they knew exactly what is worth buying and where. I simply had to pay so I could comfortably stroll and gaze about. difficulty, I could scratch the sticky pulp out of my mouth with my dirty fingers. Lanzones is a fruit of the size of a plum, growing in clusters. It comes from Camiguin Island where it grows on the slopes of the Hibok-Hibok volcano. The Lanzones Festival, which is a type of thanks giving celebration, is held in October when the island’s different grass skirted communities meet each other. They parade incolorful costumes, dance and stuff themselves with the inviting white fruit. A bit further, in the open marketplace, carts overloaded with coconuts stood in a row. Banana bunches were laid on the ground. There were a hundred different types of rice in sacks, fresh vegetables in baskets, and elderly women or combing teenage girls were squatting behind them. and, with wide eyes, they would swallow the exhaust gas. I hated the fish market the most. The stench of the ocean smelling corpses got into my lungs and clothes. The tables were watered with hoses or buckets to keep the dead seafood moist, giving their beautiful colors back as decorative death masks. I tiptoed over the sloppy concrete in my open sandals. after day. A young man was sitting on a dirty blanket with his atrophied legs pulled up, smiling up at people. He would wave from far away: ‘Hello, Ate!’, and I always greeted him with a smile. Different vendors were watching my eyes move. When I stopped impulsively, they leaped: how they could help me. Misery seemed inert in these streets. I always saw familiar faces of children too along the sidewalks. They clung to some passerby to beg for a couple of pesos. The thirteen-year-old deaf and mute boy, Amang would cry so bitterly – with a great talent for acting – in front of a McDonald’s restaurant that people would gather around him. To comfort him, they bought hamburgers for him. Butchoy lay on the corner like a dead person or someone who was breathing his last, with a broken white plastic cup in his little palm. Of course, when they spotted me, they ran to me smiling. ‘It’s just a game’ – they would say. Walking by the movies, I would see kids squatting on the pavement, playing cards or dice. Children with wide pupils would rest among the parking cars, ‘flying high’ above the ground due sniffing glue. I walked in the bookstore on the corner. I spent quite a lot of time here, not only because I love browsing, but also because, hiding behind the bookshelves, I could watch the children through the long window without them seeing me and running to me. slices of bitter mango that he peeled and packed for sale. Jonathan longed for this freedom very much. He was sixteen and thought it was time to stand on his own feet. Now he slept on sidewalks, bathed in the river and had no clothes except what he had on. He was with his friends. truck with a hiss. Cussing, the kids jumped off the truck and we pushed it aside to a gas station. We had no choice but getting onto jeepneys. By the time we got there, the program had started. We were broadcasted by satellite on CNN. In the flurry of excitement, we forgot about how we would get home. The crowd broke up at two in the morning. It seemed almost hopeless to find a jeepney at that hour of the day. While two boys started out towards the market to find some sort of transport, we sat down in the park of a shopping mall. A few kids were playing in the street, kicking a rubber slipper, they played football under the row of streetlights. Some of them lay down on the damp, cold grass. As I stretched out under a tree, Marlou lay next to me to put his little head on my bag. He was so tried he could hardly keep his eyes open. He put his slippers under his back and put his face close to mine. “Ate Betti, I am so cold…” – he shivered. To make him smile, I started to stroke his face. I ran my fingers carelessly through his black hair, over his closed eyelids, flat nose down to his lips. He smiled. “Ate, I still remember the days when my mom caressed me like this. But at that time I was very young.” – said the ten-year-old boy. their waving arms stuck through the bars. I recognized his innocent, mischievous smile among them… he was very young, very little…I smiled at him. “This boy – I pointed at him in the picture – is a good boy, not an impertinent, bad boy like this one here!” – laughing, I pointed at him. God, how bad I felt! I felt so sorry for him that I hugged him and kissed him on the cheek. A wide smile spread on his face, I kissed him and he left. victims of the system and society. like sniffing glue, pickpocketing or spending the nights in the streets. Due to the inadequate amount of space and the overcrowdedness, the kids were forced to live under one roof with repeat offenders and publicly dangerous adult criminals. the ground. There was no health provision. Furthermore, there wasn’t any kind of rehabilitation program either. huts were behind the shop. There were some reed-sheltered benches and tables, where the family members of the inmates could spend one or two days. here. The prison policy tried to separate those criminals who belonged to the notorious circle of criminals called Batang Mindanao 29 this way. Women, juvenile offenders and men sent to prison for small-scale crimes were placed in the other building complex. The women inmates were held in the building next to the office of the prison management. Often thirty or forty of them slept in one small cell. other ‘within the gates’. On several occasions, people did disappear. They were supposedly murdered and their bodies were cremated. overcrowded, occasionally as many as ninety children were shut into the minors’ cell. The inmates were allowed to spend their free time in the yard three times a week. guards, to take revenge, carried the beds, personal belongings and clothes out of the cells and put them on fire. Ten inmates – with minors among them – were forced to lie naked on their stomach on the ground and they were beaten with gunstocks and sticks. 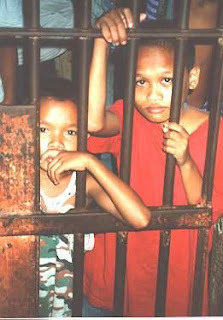 As a result of the steadfast work of Balay sa Gugma during the past years, the children are allowed to sleep in separate cells from the adults. This, however, still does not save them from the sufferings caused by the ruthless brutality and physical abuse of the adult inmates and guards, and the inhumane conditions of the prison and the cells. Referring to the lack of financial resources, the state considers the institutional separation of adults and children to be the solution. the dusty, rocky paths for hours and if someone stopped, they hit him or trod on his head. The signs of the afternoon ‘exercise’ were visible on the majority of the children. I went to Lumbia the following day. Prior to that, as usual, Susan and I bought toothpaste, soap, laundry soap, sweets and banana. Tatay Menes went ahead because he was working with the kids that day. He took the wood carving tools, with which they carved crucifixes for sale. We hardly got inside the main entrance when I realized that the gate through which one got to the prison yard where the inmates lived, stood wide open and unguarded. It was strange… In the past, hanging from the gate, the children noticed and greeted us noisily from far away. are not allowed to receive visitors, a man in uniform was running towards me, shouting that I must not enter. colleagues had been stopped by armed men on their way home a few months earlier, and had been threatened not to dare raise their voice against the prison. Their weapons against us were the children. I must say I am lucky. As a social worker, I found a profession that allows me to wander about the world,exploring foreign cultures, completely different notions of the world and various fates of people; meanwhile I can provide more or less help for those who are in need of exactly this kind of support or encouragement to find a solution for their problem. During my university years, I did not busy myself only with books. I worked for Collegium Martineum, an organization for talent development at Mánfa, Hungary where I coached young gypsy people. Here I had the chance to work with excellent colleagues and students. and problems of the tiny tribal villages. The utterly different culture left a great imprint on my notion of the world, work and life. My greatest experience was that in India I had the chance to witness that behind the merciless social traditions and inhumane destitution – maintaining dignity and self-respect – the natives live according to wonderful human values. Two years after my return – having suspended my studies and work once again – I accepted another difficult challenge. 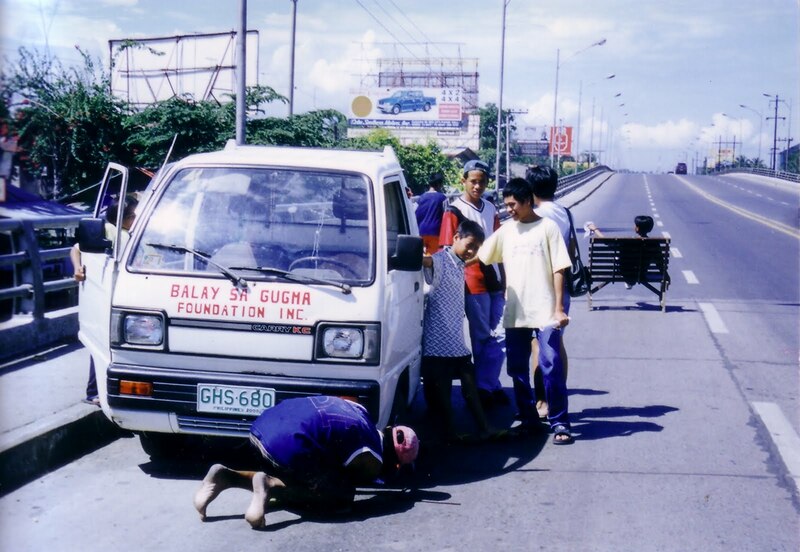 I worked as the consultant of the Balay sa Gugma Street Children Project for one year on in the Philippines, in the city of Cagayan de Oro. Our foundation focused on three main fields: offering shelter, provision and vocational training for street children, performing social work among children living on the streets for long periods, and taking care of the adolescents and children kept in the city jail. By starting up various small businesses – a bakery, a metal and a wood workshop or a sewing project – we played an important role in the life of the vicinity. show up and finally drop out of school. In the beginning, they regularly visit their families, but since they spend moreand more time on the street, it is very likely that they break away with no turning back. According to the Philippine laws and traditions, there is no divorce. If the relationship between the parents goes wrong for good or they want to start a new one, spouses simply move apart. One of my most tragic experiences was the fate of those children who had been abandoned by their parents in the hope of establishing a new family or starting a happier life. Such parents never look after their children any more. Most of the Philippine girls living on the streets were abused or raped in their home, not only by a neighbor, but a lso by the stepfather or, in several cases, even by their biological father. Escaping from home, they try to find jobs but mostly they are forced into prostitution, or they look for support and livelihood in dubious relationships. Boys with no families often become sexual objects for homosexuals and pedophiles. An increasing number of HIV positive children are struggling with and for their lives. Society reacts to these vulnerable children in an odd way. Their sight is not tolerated in the streets; they are locked up in inhumane homes and prisons, or special troops, the ‘death brigades’ of the government’s violence machinery kill and destroy them. During my everyday work, I eventually recognized that the children I met daily lived in an extremely difficult situation. Not only because – having been abandoned by their parents, or having fled from the poverty and brutality of their homes – they were facing starvation or got beaten up or raped living on the street, but also because they were defenseless against laws or society. I consider it important to continuously communicate, in any possible way, the experiences I had there. If I were not doing so and shut my eyes, I would become a member of the society that legitimizes children’s imprisonment and execution. If I were not doing so, I would believe that the laws passed in a democratic state are faultless and unalterable and I would not believe in being part of the change and conversion. stones that were covered with algae. The kids collected sea urchins, scallops, fish, kelp and everything edible from the entrapped puddles. of our pick-up truck and we went to town to look after our various businesses. In the afternoons, the kids would play basketball or idle in the shade. Later everyone would see to his or her own business, studied or loafed about town. In the evening, I would lie in the sand on the beach and watch the kids doing flips in the water. Far from the bay, the high volcano of Camiguin Island emerged out of the sea and the rays of the descending sun dyed it red. death; in the courtroom, I sat opposite to a murderous policeman who shot the fifteen-year-old Gary and was free. I saw children smiling at me and dying; I saw their bright eyes fade in prison; saw them bathing in the river and starving; crying bitterly because of having been beaten up; saw them with sacks pulled over their heads to prevent them from seeing something. I have seen children – the youngest one was not even ten – thrown in prison, where they are fired at and drunk guards harass them at nights, saw them looking at me from behind bars with desperate eyes; breaking glass in their fists; fleeing. I can smell their scent – glue and the acid smell of urine –, their skin became flaky with dirt, eyes got vacant. They would squat on stone crypts of the old cemetery and hold plastic bags to their noses. They would smile at me when begging. Then, at nights, high on glue, they would curl up on sidewalks or squares. It was a bit comforting that they did not feel hunger and did not sense reality. They were making dreams. I arrived at Manila with butterflies in my stomach. As the plane was landing, the tension within me was growing, not knowing what I was going to do alone in the 15-million metropolis where no one was waiting for me. The administration of my papers kept me at the airport for hours. Loaded with my huge luggage, I searched for a taxicab. Of course, the driver was willing to find my motel only for a generous tip. heading and not wanting to think about it either. weeks. He greeted me with a warm, friendly voice and informed me that he had reserved tickets for the same plane for both of us. We were to meet soon. liners were lined up in the seaport. Sitting next to me, Jim explained that a multinational food manufacturer firm, Del Monte Philippines had taken up residence here. Mainly pineapple, cocoa and sugarcane are grown on the plateaus beyond the mountains. Unending towns of tin-roofed huts were erected around the port. Coming from the undeveloped and depressed rural areas in hope of better work opportunities and living conditions, tens of thousands of the penniless live here with their families in miserable crowded conditions. 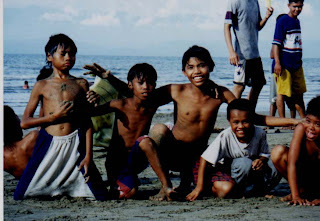 Little by little, we reached the delta firth of the River Cagayan, which split the town in two and from the bank of which little huts, standing on pillars, were leaning over the riverbed. We passed a green-grassed golf course and landed sharply. My Philippine colleagues were waiting for me at the airport. They watched with great interest from behind the glass door how Jim and I gathered our luggage. Susan and Carmen, the two youthful women of around 40, hugged me with sincere confidence, Nanay Nila, an elderly woman and Tatay Menes, a middle aged reticent man shook hands timidly. We all crammed into a taxi. Susan and Carmen were chattering to me during the whole ride, they were really excited about how we would get along. I was looking out of the window quietly, and the anguish slowly started to ease. completely identical small houses of one or two rooms stood. Usually large families lived in these, thus a housing project like this gave home to two to three thousand people. Susan showed me enthusiastically that Xavier Estate, where the wealthy lived, was not too far from us. The political and business elite of the town usually lived in separate boroughs or in luxurious palaces on carefully railed off areas, fenced off estates. transportation were the motorellas (a six-seater cabin on a motor cycle) and the tricycle cabs (two-seater side-car bikes), which easily slipped by the large jeepneys and the small, mainly Japanese cars. I desperately tried to perceive as much of what I saw and heard as possible. I thought that I was never going to learn my way around. In the streets, it was shocking to see to what extent the Western civilization was taking over one of the least developed countries in South East-Asia, yet at the same time how it mixes with traditions. American type fast food restaurants, huge glass covered office buildings, airconditioned mega-centers filled with the latest American fashion. built up their homes of a few square meters, using reed, wood and all kinds of litter. Susan was constantly explaining what I could buy and where. She showed me the large supermarkets where I could pick out everything I liked for my ‘European’ eating habits. One can find the ingredients for the traditional Philippine cuisine mainly on the market: vegetables, spices, fish, crabs, fruits, and different seasonings rested on the crowded stands. The Muslim section was situated in a separate area of the markets, where textiles, dresses and bedspreads – decorated with traditional patterns – were sold by Muslim vendors. I was puzzled by this humble greeting. ‘Who was I to give blessing?’ Susan whispered that they expressed their respect for me this way. I still felt uncomfortable and I would have much more preferred a warm handshake. Anyhow, as I could see it, I wiped all their foreheads. came off. I suppose, they were not too good in doing the dishes. The kids, however, were smiling at me with such a resolute enthusiasm that I could eat that as well. I believe that was my initiation! sandbanks. The shore where the sea and the land meet resembles the patterns of an agate slide in which the different shades of blue blended with white. There were uncultivated palm groves on the uninhabited shore. Very far off, the three volcanoes of Camiguin Island reached to the sky. alongside the road and skinny men who were pushing twowheel carts carrying buckets full of water home from the well. The jeepney dropped me at the last stop from where I walked. A battered dirt road, the potholes of which filled with water in times of rain, lead to the shelter. Its high gates came into sight from under the palm trees as I passed a swampy fishpond. stored. Rodney, the former street boy, who had also been raised in the home, was working here with the kids. The other little room opposite to it was the bakery. A few boys were working here in the afternoons and at nights. The baker’s shop was lead by Eddie, who came to the shelter also as a street kid a few years before. In the brick building close to the shore, were the offices and, on the upper floor, a sitting room with a television. There were sewing machines in one of the corners, on which the young learnt to sew with Nanay Nila in the afternoons or at the weekends. 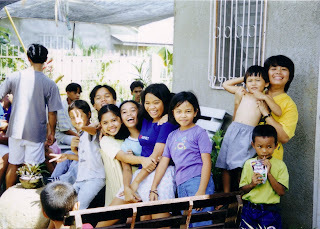 Nanay was an elderly woman with many-many grandchildren and she was the patient, smiling granny of the home, too. There was also a room for me. This I shared with a social worker, Jessie Ann. I spent the night there when I could not go home. A concrete basketball court and a sandy volley ball court were close to the building. would wait for the children coming home from school with delicious lunch. However, the children themselves prepared their breakfast and dinner. us, holy masses were held here. And a new world began from here. city of half a million citizens. It reminded me of a kind of sociorealist housing project with its straight streets, small houses and gardens the size of a handkerchief. plastered interior appeared odd. Often I had the impression that I was living in a weekend home. In the remarkably small and dark bathroom, there was only a toilet bowl and a plastic bucket. favorite place of wall lizards and span-long, plump cockroaches. had a lilac tone and my bed was covered with a pale, rosy sheet and pillows. My little bamboo shelf and desk was leaning against the window frame, and the cement floor was made friendly with a raffia carpet. man, who was doing chores around the house. We lived in three tiny rooms and a small living room what served as a kitchen and dining room at the same time. All through that year, it happened frequently that several people showed up for only a few days and hung around for months. There were so many folks in the house during the first week that I could not even follow who was actually living there. Susan’s sister and her five children stayed with us on the weekends, sometimes they would even bring along relatives from the mountains. In the first few weeks my hosts treated me as a guest and paid special attention to me. Astonished, they pushed me away from the sink and were shaking their heads in disgrace when I wanted to wash the dishes. And as we were going home after shopping, they would take the bags from my hand on account of what people were going to say about how they treated me. By the time I got home, my laundry had been done. I asked them not to do it, but they got upset in most cases, saying that I rejected their hospitality. Then they gradually got used to the idea that I was not a tourist but someone who lived among them. I had to make them understand that it was not just me who had to adapt to their habits and mentality; they also had to accept the fact that my way of thinking differed from theirs. Finally we could agree on the housework. Cooking was the task of Egay and Edgar, Malyn and Jam did the laundry and the cleaning, Susan made breakfast and I did the dishes. I tried cooking only once, I prepared mixed salad with mayonnaise dressing, roast meat and mashed potatoes. These were peculiar flavors for them and, since they eat meat only with rice, they did not know what to do with the mashed potatoes. They ate it spread on bread and, humming, they insisted on how delicious it was. Of course, the bowl would have sat in the fridge, if I had not rescued them from one of the ‘frightful’ products of the European cuisine. I never thought I ever want to write a blog. I thought it is a waste of time (maybe it is! ), will see. However, I just moved back from England to Hungary, as I decided I want to be free for a while. Free of responsibilities, free of a job, a stress, a routine, just to live lazy and jobless for a while. So, actually now I came to the point, that I can waste my time to start a blog. As I put it to the profile, I am a kind of person who is not able to settle down in one place. Since the age of 19 I have been travelling, I volunteered in India for 6 months in the maternity ward of a missionary hospital, then some years in uni, then 12 months in the Philippines working with street children, then some years of uni, then getting married and going back to the Philippines for a couple of months, then New Zealand for a half a year, back to Hungary for a couple of years with some travels to Peru and Bolivia, then moving to the United Kingdom, and now coming home again. Yeah...tired of writing down all these. So, my plan is to upload some pictures of our early travels for those interested in it. Then I want to invite you to read my book what was published a couple of years ago about my work with street children in the Philippines. Hopefully by the end of the year I will be on the road again with my husband going to Asia to volunteer in some projects, if it happens, the blog might become more interesting, talking about the present not about the past. When I started crafts, I made little fairies (I will show you later some) and I went to some craft fairs, also that time I tried to sell them on Etsy. I am always annoyed when people do not know how a real fairy looks like, because they are not that sort of boy or girl body with bird wings (phuu) or butterfly wings. People were surprised to see my fairies, and I had to convince them, these are the real faeries. Some of them believed it. I do believe in fairies like them. Not in the posh ones. At this very moment I do believe I am wasting my time here firstly to promote my shop. If the blog will turn out to be pleasant, interesting, read by others, maybe the aim will change. (I am just being very honest now) So, I started this felting thing a year ago. I had a stressful job, sitting in the office or in the car a lot, visiting my dear clients. (I worked with asylum seeker minors in te UK in the last two years) When I got home, I could not sit down again for a while, and I needed some exercise as well. When I used to work with gipsy youth in Hungary, I learned felt making in a summer camp. I found it very therapeutic, so I tried if I remembered. And I did. I have a dream to buy a campervan travelling in Europe selling my things in small town fairs. It would be so lovely. Unfortunately it seems I was offered a volunteer placement in Asia, so if we are fully accepted, I can not realize this dream in this coming year. I am a bit sad about it, but I can't take the chance to miss that opportunity. We will see what the future brings.